The platoon system or two-platoon system, in baseball or football is the method directing the substitution of players. Casey Stengel popularized the platoon system as manager of the New York Yankees. In baseball, a platoon is a method of sharing playing time, where two players are selected to play a single defensive position. Usually, one platoon player is right-handed and the other is left-handed. Typically the right-handed half of the platoon is played on days when the opposing starting pitcher is left-handed and the left-handed player is played otherwise. The theory behind this is that generally players hit better against their opposite-handed counterparts, and that in some cases the difference is extreme enough to warrant complementing the player with one of opposite handedness. Right-handed batters have an advantage against left-handed pitchers, as left-handed batters benefit from facing right-handed pitchers. This is because a right-handed pitcher's curveball breaks to the left, from his own point of view, which causes it to cross the plate with its lateral movement away from a right-handed batter but towards a left-handed batter (and vice versa for a left-handed pitcher), and because batters generally find it easier to hit a ball that is over the plate. Furthermore, since most pitchers are right-handed, left-handed batters generally have less experience with left-handed pitchers. A left-handed pitcher may also be brought in to face a switch-hitter who generally bats left-handed, forcing the batter to shift to his less-effective right-handed stance or to take the disadvantages of batting left-handed against a left-handed pitcher. Platooning can be viewed negatively. Players prefer to play every day, and managers, including Walter Alston, feared that sharing playing time could decrease confidence. Mookie Wilson of the New York Mets requested a trade in 1988 after serving in a platoon for three seasons with Lenny Dykstra. The advantage to alternating hitters based on handedness was known from the early days of baseball. Bob Ferguson, in 1871, became baseball's first switch hitter, allowing him to bat left-handed against right-handed pitchers, and right-handed against left-handed pitchers. The first recorded platoon took place in 1887, when the Indianapolis Hoosiers briefly paired the right-handed Gid Gardner and left-handed Tom Brown in center field. In 1906, the Detroit Tigers alternated Boss Schmidt, Jack Warner, and Freddie Payne at catcher for the entire season. As manager of the Boston Braves, George Stallings employed platoons during the 1914 season, which helped the "Miracle" Braves win the 1914 World Series. No Braves outfielder reached 400 at-bats during the 1914 season. In 1934 and 1935, Detroit Tigers' manager Mickey Cochrane routinely platooned Gee Walker, a right-handed batter, to spell center fielder Goose Goslin and right fielder Jo-Jo White, who were both left-handed batters. Also in the 1930s, Bill Terry of the New York Giants platooned center fielders Hank Leiber and Jimmy Ripple. The approach was seldom used in the 1930s, but Casey Stengel, managing the Braves, platooned third basemen Debs Garms and Joe Stripp in 1938. Stengel himself had been platooned as a player by managers John McGraw and Wilbert Robinson. Garms won the National League's batting title in 1940 with the Pittsburgh Pirates as a part-time player under Frankie Frisch. Terms for this strategy included "double-batting shift, "switch-around players", and "reversible outfield". Tris Speaker referred to his strategy as the "triple shift", because he employed it at three positions. The term "platoon" was coined in the late 1940s. Stengel, now managing the New York Yankees, became a well known proponent of the platoon system, and won five consecutive World Series championships from 1949 through 1953 using the strategy. Stengel platooned Bobby Brown, Billy Johnson, and Gil McDougald at third base, Joe Collins and Moose Skowron at first base, and Hank Bauer and Gene Woodling in left field. Harold Rosenthal, writing for the New York Herald, referred to Stengel's strategy as a "platoon", after the American football concept, and it came to be known as "two-platooning". Following Stengel's success, other teams began implementing their own platoons. In the late 1970s through early 1980s, Baltimore Orioles manager Earl Weaver successfully employed a platoon in left field, using John Lowenstein, Benny Ayala, and Gary Roenicke, using whichever player was performing the best at the time. Weaver also considered other factors, including the opposing pitcher's velocity, and his batters' ability in hitting a fastball. The Orioles continued to platoon at catcher and all three outfield positions in 1983 under Joe Altobelli, as the Orioles won the 1983 World Series, leading other teams to pursue the strategy. "I'd rather be playing every day, but playing every day in the minor leagues is not nearly as pleasant as platooning in the big leagues." Platooning decreased in frequency from the late 1980s through the 1990s, as teams expanded their bullpens to nullify platoon advantages for hitters. However, the use of platoons has increased in recent years. As teams increase their analysis of data, they attempt to put batters and pitchers in situations where they are more likely to succeed. Generally, small market teams, which cannot afford to sign the league's best players to market-value contracts, are most likely to employ platoons. Under manager Bob Melvin, the Athletics have employed many platoons, with Josh Reddick calling Melvin the "king of platoons". Joe Maddon began to employ platoons as manager of the Tampa Bay Rays. The 2013 World Series champion Boston Red Sox platooned Jonny Gomes and Daniel Nava in left field. After the 2013 season, left-handed relief pitchers Boone Logan and Javier López, both considered left-handed specialists because of their ability to limit the effectiveness of left-handed batters, signed multimillion-dollar contracts as free agents. 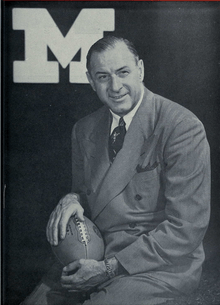 Fritz Crisler was known as the "father of two-platoon football." Prior to 1941, virtually all football players saw action on "both sides of the ball," playing in both offensive and defensive roles in a one-platoon system. From 1941 to 1952, the National Collegiate Athletic Association (NCAA) allowed unlimited substitution. This change was originally made because of the difficulty in fielding highly skilled players during the years of the Second World War, in which many able-bodied college-age men volunteered for or were drafted into military service. The first known use of the so-called "two-platoon" system was by Michigan head coach Fritz Crisler in 1945 against an Army team under head coach "Colonel" Earl "Red" Blaik. Michigan lost the game 28–7, but Crisler's use of eight players who played only on offense, eight who played only on defense, and three that played both, impressed Blaik enough for him to adopt it for his own team. Blaik, a former soldier himself, coined the "platoon" terminology in reference to the type of military unit. Between 1946 and 1950, Blaik's two-platoon teams twice finished the season ranked second in the Associated Press polls and never finished lower than 11th. In 1954, the NCAA emplaced a set of new rules requiring the use of the one-platoon system, primarily due to financial reasons. The system allowed only one player to be substituted between plays, which effectively put an end to the use of separate specialized units. Tennessee head coach "General" Robert Neyland praised the change as the end of "chickenshit football". 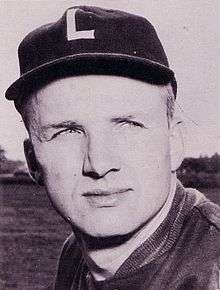 Paul Dietzel used a unique "three-platoon" system. In 1958, LSU coach Paul Dietzel came up with a unique three-platoon system. It consisted of three teams of 11 different players, and was designed to keep his players from being fatigued in an era when most players started on both offense and defense. Instead of replacing individual players during the game, Dietzel would bring in an entirely new set of players between plays and series. The three teams were called the White Team (the first-string offense and defense), the Gold (Go) Team (the second-string offense), and the Chinese Bandits (the second-string defense). The system worked, as the Tigers went undefeated and won the a national championship. The Chinese Bandits, the second-string defensive unit, which consisted of less-talented but ferocious players, became hugely popular with LSU fans and remains one of the most legendary pieces of LSU football history. After the 1964 season, twelve years since the mandate requiring one-platoon, the NCAA repealed the rules enforcing its use and allowed an unlimited amount of player substitutions. This allowed, starting with the 1965 season, teams to form separate offensive and defensive units as well as "special teams" which would be employed in kicking situations. The reinstatement of the two-platoon system allowed players to become more specialized by focusing on a limited number of plays and skills related to their specific position. With players now fresher, coaches could now build their teams for speed and agility rather than brute strength and endurance; Don Coryell took advantage of the quarterbacks and wide receivers that were overlooked in the days of one-platoon ball to create one of the first predominantly passing offenses in top-level football. This, in turn, prompted defenses to respond in kind with wider-open defenses that emphasized linebackers and defensive backs, which in turn led to the rise of modern defenses such as the 4–3 defense and 3–4 defense and led to earlier defenses with more defensive linemen becoming obsolete. By the early 1970s, however, some university administrators, coaches and others were calling for a return to the days of one-platoon football. When a football team uses two (or more) quarterbacks to run their offense, rather than the traditional one in football, it is known as "platooning quarterbacks." This tactic becomes less common the higher the level of football (high school teams are more likely to do it than National Football League teams for example). Quarterbacks may be switched in and out of the game every play, every drive, every quarter, or depending on certain situations. If quarterbacks are switched game to game that is not platooning, that is a "quarterback controversy" or a simple benching. Using two different quarterbacks allows an offense to use players with different skill sets. One common reason teams platoon quarterbacks is because one player is a good passer and the other a good runner (see for example Stanley Jackson and Joe Germaine of the 1997 Ohio State Buckeyes). Thus defenses have to prepare for two types of quarterback, not just one. It also allows offenses to run a greater variety of plays. 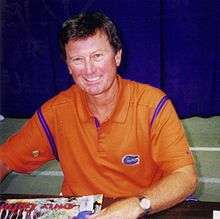 Steve Spurrier often used "platooning quarterbacks." Arguably the most common reason QBs are platooned is because neither are very good. If you have a great quarterback, it does not make sense to remove him from the field on a regular basis. There is an old football saying "if you have two starting quarterbacks, you don't have one." Changing quarterbacks can disrupt the rhythm of an offense (and/or of the quarterbacks). It also makes it hard for a quarterback to establish himself as a leader if he is not always on the field. Also having a "running quarterback" and a "passing quarterback" can make it easier for a defense to predict what an offense will do on a given play depending on which quarterback is on the field. Rarely do teams platoon quarterbacks as part of an active strategy; usually it is to make the best of a bad situation. Platooning running backs on the other hand is often seen as desirable, especially in the NFL, as a way to keep them both fresh and healthy. Southeastern Conference college football fans use the regional term "Smelley Garcia" to describe an unsuccessful use of platooning quarterbacks when both have similar skill sets. The name is derived from Steve Spurrier and University of South Carolina quarterbacks Chris Smelley and Stephen Garcia who were platooned by the Gamecocks despite largely being the same player. It is not intended to be complimentary. In general fans do not want their teams to be platooning quarterbacks. Platooning quarterbacks is not the same as playing an inexperienced quarterback in certain situations to prepare him to be a starter once the current starter is no longer with the team. A team platooning quarterbacks is doing it because it wants to have both quarterbacks playing because they think it gives them the best chance to win the game. There can be cases where both apply (the Florida Gators use of Tim Tebow in 2006 for example). Also using a quarterback only for one type of play (QB sneaks or Hail Marys for example) is not a traditional platooning. Both quarterbacks have to be running the majority of a teams offense. 1 2 Fullerton, Jr., Hugh (May 11, 1949). "Casey Stengel Likes To Use Two-Platoon System: Yankee Manager May Have Trouble Whittling His Squad Down to 25 Players". Lawrence Journal-World. Associated Press. p. 10. Retrieved February 3, 2014. 1 2 3 4 5 6 Loomis, Tom (May 13, 1987). "Don't Blame Casey Stengel For Inventing Platoon System". Toledo Blade. p. 26. Retrieved February 3, 2014. ↑ "The difference between right and left-handed hitters". KansasCity.com. April 19, 2013. Retrieved February 4, 2014. 1 2 3 Krasner, Steve (April 22, 2000). "Red Sox manager has his platoon system in place". The Day. p. B1-3. Retrieved February 4, 2014. ↑ Walter Bingham (September 18, 1961). "A season of struggling to win with percentage baseball is – 09.18.61 – SI Vault". Sportsillustrated.cnn.com. Retrieved February 4, 2014. ↑ "Baseball roundup: Mookie Wilson asks for trade". The Daily Record. Ellensburg, Washington. United Press International. March 1, 1988. p. 11. Retrieved February 4, 2014. ↑ James, Bill (1997). John Thorn, ed. The Complete Armchair Book of Baseball: An All-Star Lineup Celebrates America's National Pastime. Sterling Publishing Company, Inc. p. 586. ISBN 9781578660049. 1 2 James, Bill (2003). The New Bill James Historical Baseball Abstract. Simon and Schuster. p. 117. ↑ Neyer, Rob (May 13, 2004). "Game's progressive past". ESPN.com. Retrieved February 3, 2014. 1 2 3 4 "Anthony Castrovince: Platooning and position-sharing in MLB here to stay | MLB.com: News". Mlb.mlb.com. Retrieved February 3, 2014. ↑ "George Stallings". Society for American Baseball Research. Retrieved February 3, 2014. ↑ "Casey Stengel". Society for American Baseball Research. Retrieved February 4, 2014. ↑ Steinberg, Steve. "Manager Speaker". Society for American Baseball Research. Retrieved February 3, 2014. ↑ O`Donnell, Michael (July 28, 1985). "Sometimes, 2 Bats Are Better Than 1". Chicago Tribune. Retrieved February 5, 2014. ↑ Creamer, Robert W. (1996). Stengel: His Life and Times. University of Nebraska Press. p. 228. ISBN 9780803263673. ↑ "'Two Platoon' Idea Getting a Foothold in Major Leagues". The Milwaukee Journal. Associated Press. April 28, 1950. p. 2. Retrieved February 3, 2014. ↑ Steve Wulf (July 12, 1982). "The Orioles' three-player platoon in leftfield has been a – 07.12.82 – SI Vault". Si.com. Retrieved February 3, 2014. ↑ "Orioles down Philadelphia in 5: Platoon system lifts Baltimore past Phillies in World Series". The Sumter Daily Item. Associated Press. October 17, 1983. p. 1B. Retrieved February 4, 2014. ↑ Hertzel, Bob (March 13, 1984). "Tanner apt to platoon outfielders". The Pittsburgh Press. p. D2. Retrieved February 4, 2014. ↑ "A's trio of catchers marching to success in platoon system | oaklandathletics.com: News". Oakland.athletics.mlb.com. January 17, 2014. Retrieved February 3, 2014. ↑ "Anthony Castrovince: 'King of platoons' Bob Melvin back at it in Oakland | MLB.com: News". Mlb.mlb.com. Retrieved February 3, 2014. ↑ tampabaycom (August 12, 2008). "Rays to platoon Hinske, Ruggiano in left | Tampa Bay Times". Tampabay.com. Retrieved February 3, 2014. ↑ "Tampa Bay Rays manager Joe Maddon sticks with platoon advantage against Rangers ace Cliff Lee | Tampa Bay Times". Tampabay.com. Retrieved February 3, 2014. ↑ Eddy, Matt (March 13, 2014). "The Quest To Gain Platoon Advantage Takes A Left Turn". Baseball America. Retrieved March 14, 2014. 1 2 3 4 5 6 Douglas S. Looney, One Is More Like It, Sports Illustrated, 3 September 1990, retrieved 20 January 2009. ↑ Clarence Munn, Thumbs Down On The One Platoon, Sports Illustrated, 29 November 1954, retrieved 20 January 2009. 1 2 3 K. Adam Powell, Woody Durham, "An Era of Change (1963-1968) (Google Books cache), Border Wars: The First Fifty Years of Atlantic Coast Conference Football, Scarecrow Press, 2004, ISBN 0-8108-4839-2, ISBN 978-0-8108-4839-9. ↑ 17 Reasons Why Knute Rockne Wouldn't Recognize This Game, Athlon Sports, retrieved 20 January 2009. ↑ Center, Bill. "Don Coryell, ex-Chargers, Aztecs coach dies at 85". San Diego Union-Tribune. Retrieved 2010-07-03. ↑ Williamson, Bill. "Fouts' support for Coryell". ESPN. Retrieved 2010-07-03. ↑ One-platoon football seen as a money saver, The Free-Lance Star, November 22, 1974.